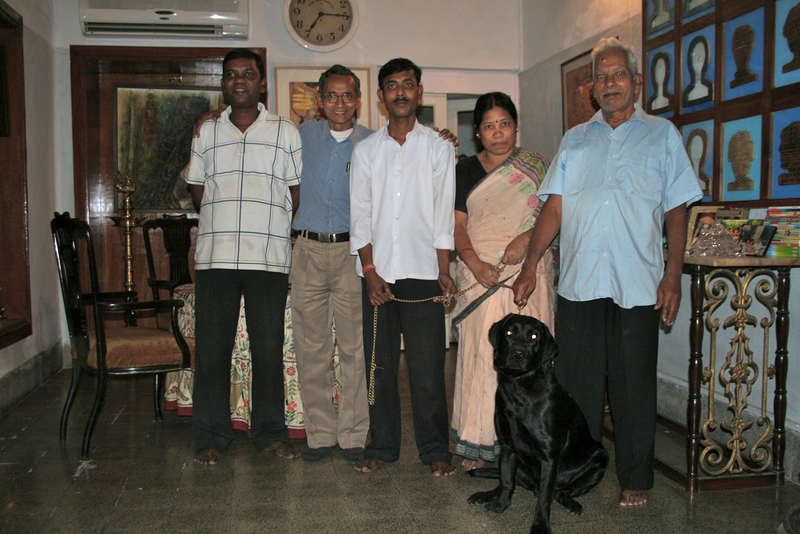 I’ve been packing and seeing friends today as I will leave at 11 PM for the airport. Hanging out in “my” room, I finish the last few uploads of my blog. Antara comes in to chat and say goodbye and she presents me with a gift – a beautiful choker necklace which I will cherish. 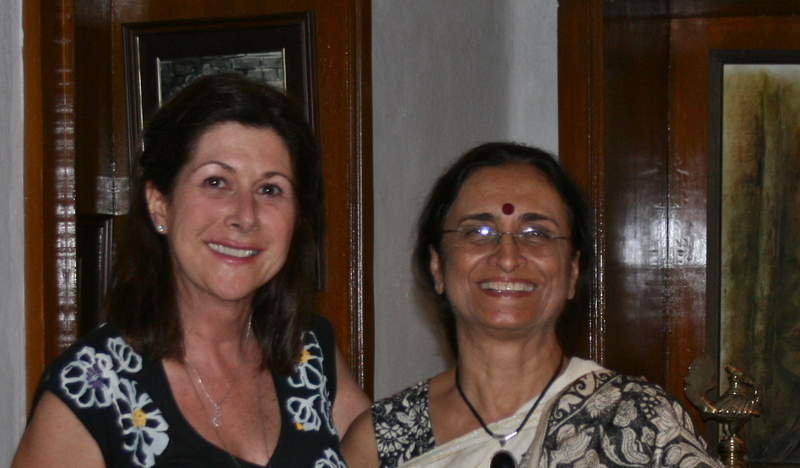 She is my good friend, always there every step of the way on this journey and even before I arrived in India. We had emailed each other for many months about supplies – but more than that, we have laughed and discussed life, politics, just about everything – she is a bundle of special energy and sparks my day each time I see her. I tearfully say my goodbye to her – I promise I will return as soon as I can. 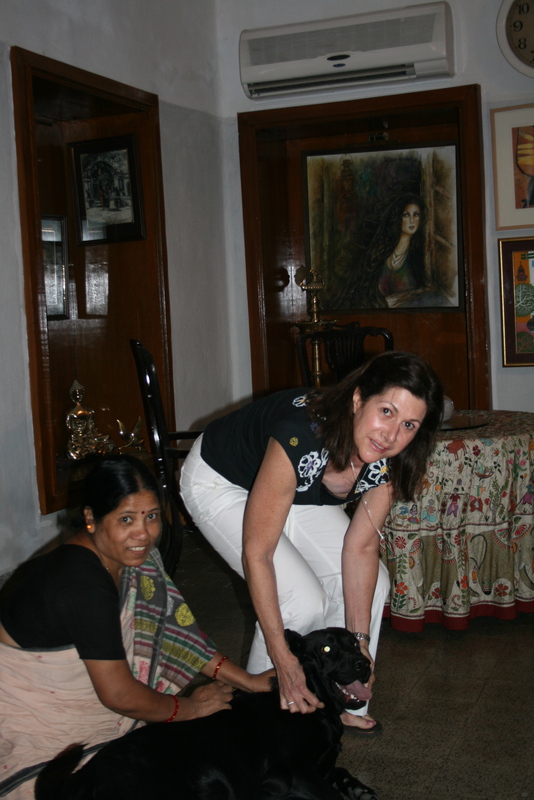 We are taking photos of Shamlu and me and the staff when Bobo comes bounding out of his room – he knows I’m off to somewhere and that his friend won’t be here to play for a while, so the journey ends as it began, with a large black dog. Wow!! I just had a chance to catch up on the last 2-3 weeks. This has been quite the adventure for you, I’m thinking you could really make a documentary out of this trip. Thanks so much for sharing. Safe travels! !